The Greatest Dancer is a new dance competition for BBC One, produced by Syco Entertainment and Thames. The show is currently looking for applicants from Manchester to compete for the chance to win a grand prize of £50,000. 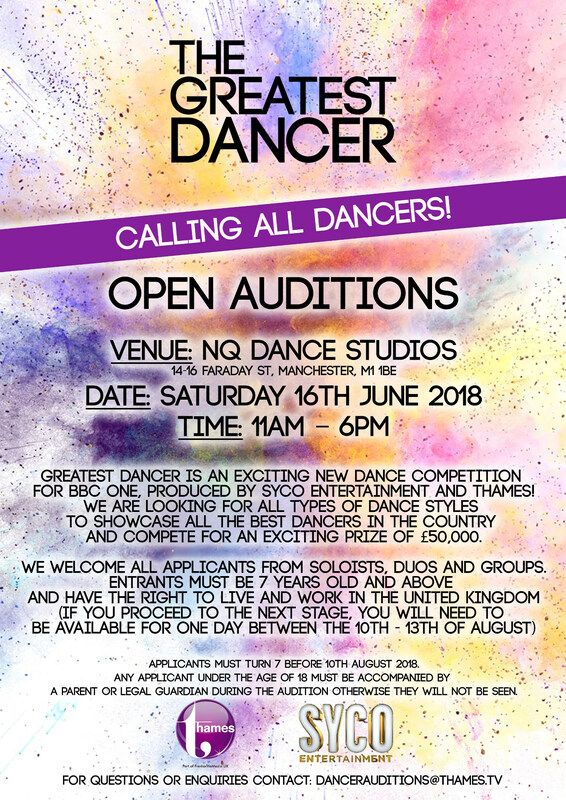 The show welcomes all applicants, of all dance styles, above the age of 7 years old.